I have a Mother-Earth-slaying confession to make: I do not reuse Ziplocs in the U.S. I know, I know. It’s akin to throwing rocks at kittens or something. But maybe I make up for it while I’m in China, where I reuse and reuse and reuse until the poor things puncture from wear. Why the difference? It’s scarcity, really. In the U.S., Ziplocs are a dime a dozen (or $2.99 a dozen? Okay, whatever, it’s a metaphor.) That makes it easy to turn up my nose at the mafan of having to wash them out. Here in small town China, it’s an entirely different story. Normally, I have to stock up when we visit the big city, and even there, Ziplocs (and by “Ziplocs,” I mean Glad brand resealable bags – it’s the Kleenex rule) only come in gallon and quart, and there’s not that many per box. Which means, I’m going to get my kuai’s worth out of each and every one. And that means washing them out. It also means I treasure each and every one that gets sent in a care package. Brownie mix AND they put it in a Ziploc?!? Score! It also-also means, if I had to come up with a black market currency for expats in China, snack size Ziplocs might make the short list. 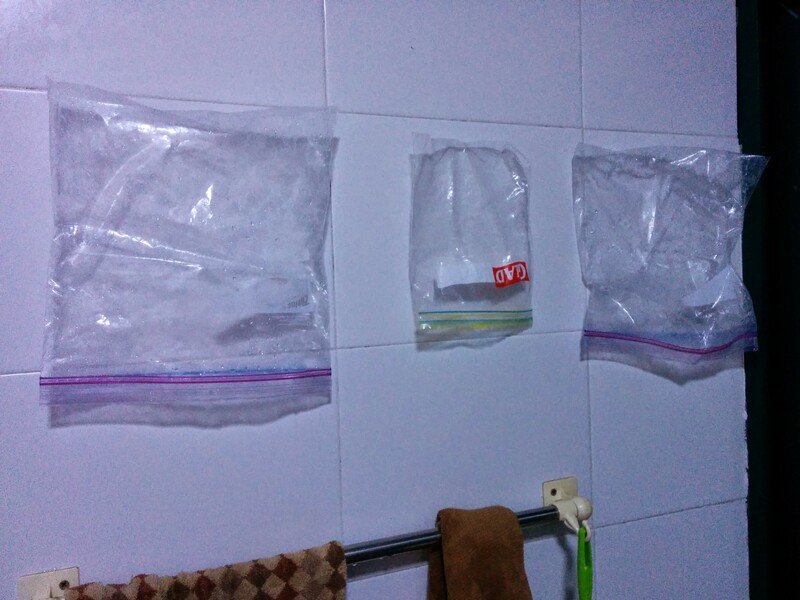 Anyway, many years ago, a fellow waiguoren let me in on a ghetto-yet-clever secret: since our Chinese kitchens all have tiled walls, you can stick your freshly-washed Ziplocs to them to dry. Yup, just slap ’em on there upside down like a window cling. After a day or two (or eight in March), they’re nice and dry. This was a grand revelation to me, because previously we had propped the wet bags open over silverware in the drying rack, which, rather than helping the bags dry, just succeeded in making the silverware stay wet longer. So, yeah, this is incredibly tacky. But somehow, that kinda ends up going pretty nicely with the rest of my kitchen. This tile is all over my kitchen walls. I feel loved. Aw, thanks, Kitchen. 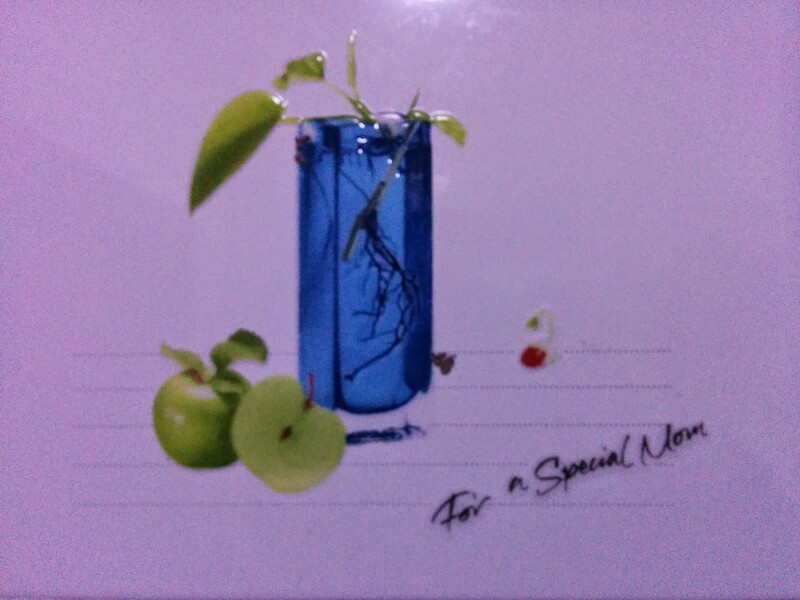 You’re “special,” too.